If the reader is scratching his/her head wondering where they possibly could have heard the name AUDREY HORNE from, perhaps school, work, or a slip of paper with a phone number from a night partying at the bar, be assured that the writer of this review was initially facing the same predicament. It's like a slap in the face when the name is revealed to be the sultry starlet from the cult TV series "Twin Peaks". Automatically, the band earns points for using the name of one of the best written, acted, directed, produced shows to ever appear on the tube. "Blackout" is the sixth album released by the band. Hailing from Norway, the band is comprised of members who have been or are still in bands such as ENSLAVED, GORGOROTH, and SAHG; however, unlike the previous bands, this cannot be labelled as Black Metal, Viking Metal, nor Doom. Instead, this project is 100% straight forward Hard Rock and Heavy Metal. In fact, the band is a most welcome treat as they prove that the art of writing popular, easy-to-digest songs can still be done without selling out and sounding like the redundant, cringe-worthy, throw-away trash that populates the programming of most radio stations these days. The first track "This is War," begins with well-written guitar harmonies that swell and die out to introduce the tastefully-overdriven bass which opens the song. The song is then kicked into gear with some MAIDEN-esque guitar harmonies that are more "Aces High" than "Hallowed Be Thy Name," though. Let it be known that perhaps one of the greatest strengths of this band is the solid rhythm section which anchor the songs while also forming their own distinct phrases. One can hear a strong resemblance in the verse section of the opener to BLONDIE's "Call Me," which whether intentional or not, is nonetheless interesting. The third tune, "Blackout," features more of the hard rock side of the group, still showcasing memorable dual-guitar harmonies, but with more of a nod to the almighty THIN LIZZY. With vocal harmonies and cowbell, the track is in the zip code of Hollywood's Sunset Strip. At first, the vocal style of the singer was not the most appealing, but listening more to the album, it improves, finally becoming catchy with its mid-range style of actually singing. While the first three tracks ranged from NWOBHM to standard Hard Rock, a curve ball is thrown on track four, titled "This One." It is nothing short of a beautifully crafted softer song that could easily be heard on any classic rock or AOR radio station. The steady but active bass line with its punchy mid-range contains noticeable slides that really help to add emphasis to the phrases without overdoing it. To lighten things up, the guitars sound like the volume knob is just eased back a bit for the softer parts, but around 2:50, the gain and girth returns. The keyboards make their entrance around this time as well and are truly reminiscent of "Rainbow in the Dark." The band have obvious influences that help shape their sound without being totally derivative. Another track of note is the eighth entitled "Satellite." An extremely simple, practically clap-able drum beat sets the foundation and is coupled with yet another interesting bass line. This time sounding like the bass is run through a synthesizer pedal or multi-effects processor, the bass really jumps out akin to late 70s R&B and 80s Pop music. Who knew Norwegians could be so funky? In a certain light, the riff played in the chorus resembles that of THE KNACK's "My Sharona." The chorus does introduce heavier guitars, and the interlude features funky wah-pedal with heavy synth sounds similar to those of BOSTON, RUSH, or even VAN HALEN. The track is a brave endeavor for a metal band and sounds like a radio hit favoring some of the tracks off VAN HALEN's "1984". Track 9, "Naysayer," is back to the metal with a hard-driving riff a la "Blackout" by the SCORPIONS. The final track "Rose Alley," definitely sums up the album as it showcases the band's excellent guitar harmonies. The point is made by the guitar players each being panned on one side enabling the listener to hear each musician's approach to their instrument via picking style and phrasing. 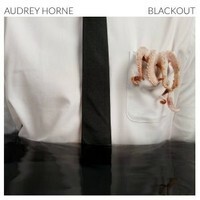 AUDREY HORNE have released an album sure to be loved by any fan of traditional Hard Rock and Metal. The fact that the band is actually having fun is conveyed through the refreshing top-notch music with nods to so many classic bands such as KISS, WHITESNAKE, and RAINBOW. The keyboards are tasteful showcasing sounds across the spectrum from heavy Hammond organ to traditional synthesizers from the 70s and 80s. Unlike some of those bands from thirty plus years ago, the lighter songs on this album still sound like the same band is playing them as they still contain the formula of twin guitar harmonies, driving bass, and drums played in the pocket. The tone of the guitars is of note as it is truly a warm, British sound, beefed up with a tube screamer, and unlike many contemporary bands, dialing in a healthy mid-range. The mids help give the guitars the presence to keep the harmonies played high up on the neck from sounding tiny and thin. Hopefully, the band can get on a tour to come to the states for it would truly be a pleasure to hear their classic-inspired, forward-thinking brand of metal in a live setting and really loud!